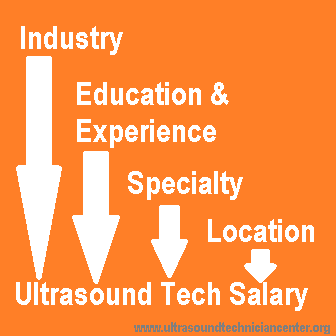 Salaries for ultrasound technicians who are at the same type of position vary widely based upon state and metropolitan area. Sonographers who compare ultrasound tech salary by state or locale will find significant variations in the remuneration available. At $93,350 annual in 2016, California has the highest average salary for ultrasound technician followed by Washington, Oregon, Colorado and Massachusetts, all with averages between $81,050 and $86,970. According to the statistics bureau in 2016, Alabama has the lowest average sonographer wage at $54,940. Louisiana’s average is $56,130, while West Virginia, South Dakota and Tennessee follow with averages between $58,180 and $60,710. How much does an ultrasound tech make in your state? Metropolitan areas within any given state tend to offer higher salaries than non-metropolitan regions. Within the top-paying state of California, sonographers in the San Francisco area earn more than $111,940. In the Oakland-Hayward-Berkeley area, the comparable figure is $109,160, in the San Jose-Sunnyvale-Santa Clara area it is $107,090, and in the Vallejo-Fairfield area it is $104,440. To the extent that data is available, most metropolitan areas with the lowest average wages for sonographers are in the eastern half of the U.S. Some examples include Burlington, NC, at $43,890; Monroe, LA, at $48,340; Dothan, AL, at $49,930; Montgomery, AL, at $50,030; and Kingsport-Bristol-Bristol, TN-VA, at $52,050. Some large metropolitan areas paying an average salary between $53,940 and $65,990 include Tulsa, OK; Charleston, WV; Pensacola, FL and Birmingham, AL. Several metropolitan areas farther north such as Pittsburgh, PA and Davenport, IA also have average wages just below $62,300 for ultrasound technicians. 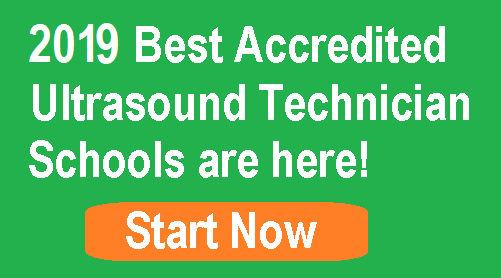 Are sonographers in your area earning well? With a steadily rising median age, the sonography profession is enjoying consistently competitive salaries as employers strive to retain ultrasound technicians in the context of growing shortages and an anticipated retirement exodus in the near future. The majority of sonographers earning more than $70,880 annually are over the age of 50, and fewer than one third earning that amount are under age 30. Entry-level ultrasound technicians starting in the lowest percentile with salaries averaging around $48,660 or less can expect to move up their employer pay scales relatively quickly with professional certification, experience and continuing education. Within three to five years, many embrace administrative, teaching, sales and other roles while others are content to receive regular salary increases as practicing ultrasound technicians for their entire careers. In some specialty, teaching or administrative roles, an ultrasound bachelors degree may be essential to salary and career advancement. For many sonographers, however, the type of degree they hold has less impact on their salary than acquiring professional credentials. More than 50 percent of those with Registered Vascular Technologist certification earn in excess of $65,000 per year, and the percentages are nearly that high for sonographers with Registered Diagnostic Cardiac Sonographer and other common credentials. Furthermore, those with two or more credentials are more likely to be among the highest paid in the profession. To help plan your sonography education, consult the Step-by-Step Guide to Ultrasound Education and the Directory of Ultrasound Technician Schools. The likelihood of earning a salary in excess of $65,000 is higher for some ultrasound specialties than for others. Pediatric cardiac sonographer salary is very high. More than 65 percent of pediatric cardiac sonographers surpass that income threshold as do nearly 60 percent of neurosonology and prenatal cardiac ultrasound technicians. The number of adult heart ultrasound specialists or cardiac sonographers earning more than the median also exceeds 50 percent. Vascular sonographer salary is above $65,050. For abdominal, breast, and obstetric and gynecological sonography, the numbers earning above $65,000 vary between approximately 40 and 50 percent of the sonographers in each specialty. The Bureau of Labor Statistics estimates that, as of 2016, general medical and surgical hospitals employed around 39,690 ultrasound technicians at an average wage of $71,580, a figure very close to both the average salary and median salary for the profession as a whole. Sonographers working in diagnostic and medical laboratory settings earned an estimated average of $73,400, and those employed in physicians’ offices received a mean of $69,450 per year. Outpatient care centers offered a higher pay scale averaging about $82,940 per year while sonographers working in colleges, universities and professional schools including sonography educators and research sonographers received an average wage of $77,940. The corresponding average hourly salary range for these industries extends from $33.39 at the low end to a high of $39.87.